Relevant monitoring of the digital age for twenty years. 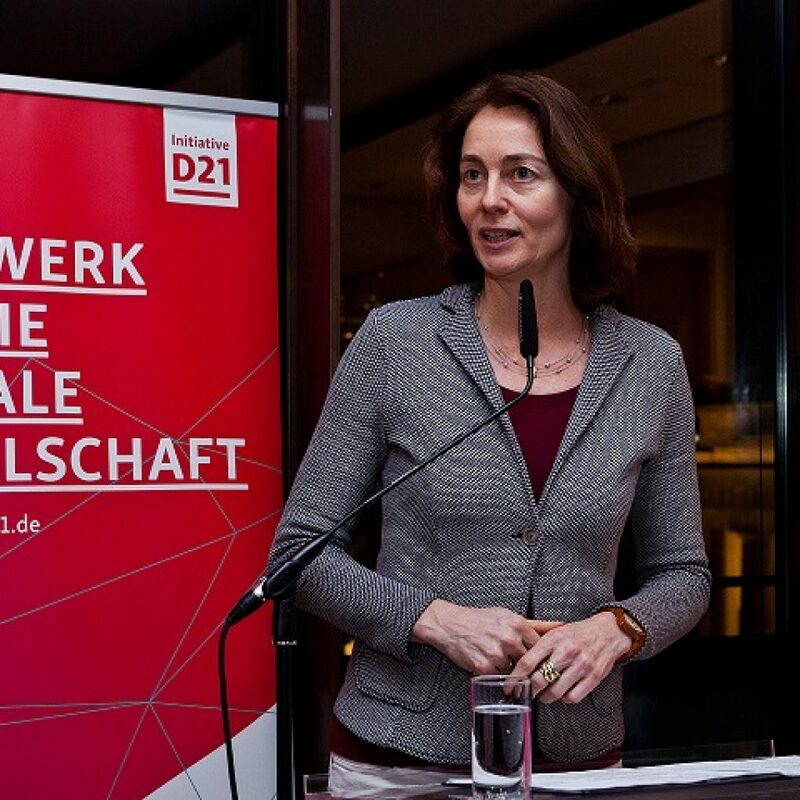 We are Germany’s largest non-profit network dedicated to a digital society comprising of key actors in business, politics, civil society, science and academia. Mandated by both the public and private sector, we aim to have some of the brightest minds working together to illuminate the social challenges presented by the digital age, provide annual surveys on current developments and stimulate debates in order to shape the future of our digital society. Self determination in the digital age is our motivation. We were formed in 1999 with the goal of helping to prevent a digital divide from occurring in the community. 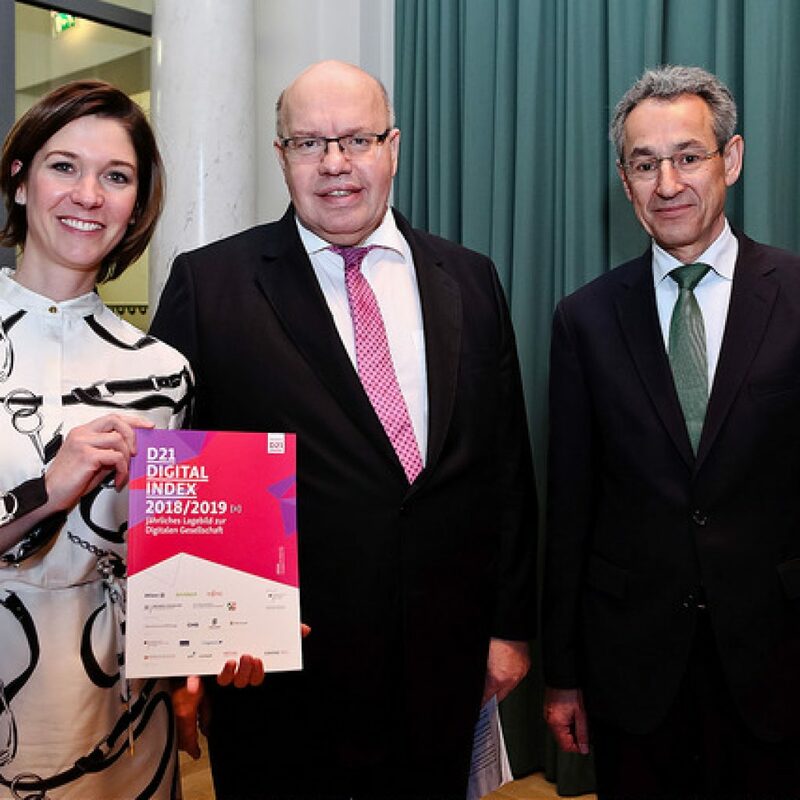 Digitalisation can facilitate improvements with significant reach for our society and the German economy. Therefore, we strive to create optimal conditions for digital innovation and a competent and self-determined society. 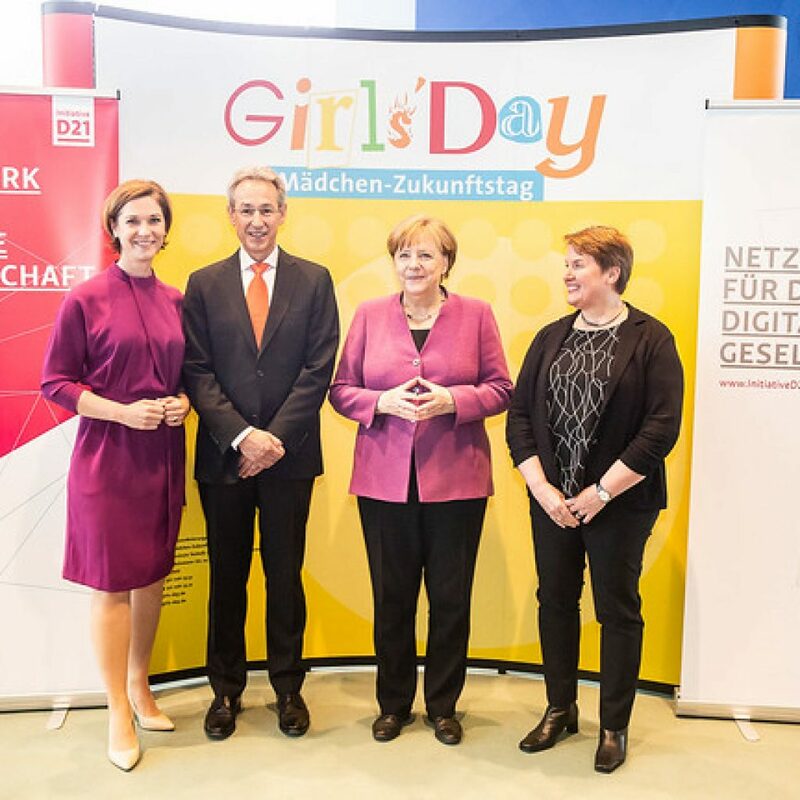 We want a Germany where the digital shift does not just take place but where it is a motivating force and being shaped in an opportunity-oriented manner. To initiate debates and create the impetus to ask questions, no matter how uncomfortable. Society in the digital world is the starting point for our actions. Reliable information is key to keeping debates goal-oriented and to avoid ideological pitfalls to steer social development in an ever-changing world. With our annual studies, we have been monitoring developments since our formation, enabling us to confidently identify society’s digital needs, expectations and competences. We work on and find solutions to a range of issues that arise in our workshops together with our multi-faceted network of experts from business, politics, science and academia and civil society. There we always balance various viewpoints and interests with a view to social benefit, with the aim of recognising crucial themes and questions in their early stages and bringing them in to societal, economic and political view. We provide space for these debates in open forums by hosting conferences and other events, publishing contributions in various online and print media and by actively contributing to shaping the discourse surrounding digitalisation as competent discussion and point of contact partners. Our heterogeneous membership structure and broad network of experts enables us to work independently, pose questions, think them through and find solutions. Working together for a digital society. The charter is comprised of the founding principles of our collaborative work. It contains the organisational as well as procedural guidelines of our administration and management.